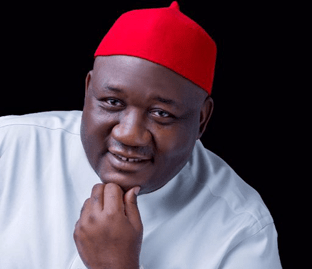 The Senator representing Imo North senatorial district, Chief Benjamin Uwajumogu has warned those spreading the rumor of an "Okigwe Agenda" which he is spearheading to desist from such otherwise if he is forced to curse them with all his heart, they will suffer terribly. Speaking at the special meeting between the candidates and leadership of the APC in Owerri recently, he described the event as victory celebration adding that in 2019, APC will be the party to beat in Imo state and across Nigeria. According to him, none of the other gubernatorial candidates will sell. He promised that Okigwe zone is for Hope Uzodinma and that they will support him with everything they have.